Your best choice for residential septic tank cleaning and maintenance. Wayne’s Drains is Greater Boston’s premier residential septic tank pumping and cleaning company. Providing septic tank cleaning and maintenance at reasonable rates by qualified professionals, we take pride in our work and a job well done. We’re your first choice for quality and service, and we’re committed to providing our customers with outstanding septic services. All types of septic systems. Our experienced residential septic tank pumping technicians can pump all types of septic systems. Wayne’s Drains has worked hard to establish our reputation in Greater Boston and all the surrounding communities, and we’ll work hard to exceed your expectations. When you call us, you will get a level of service unsurpassed in the industry. 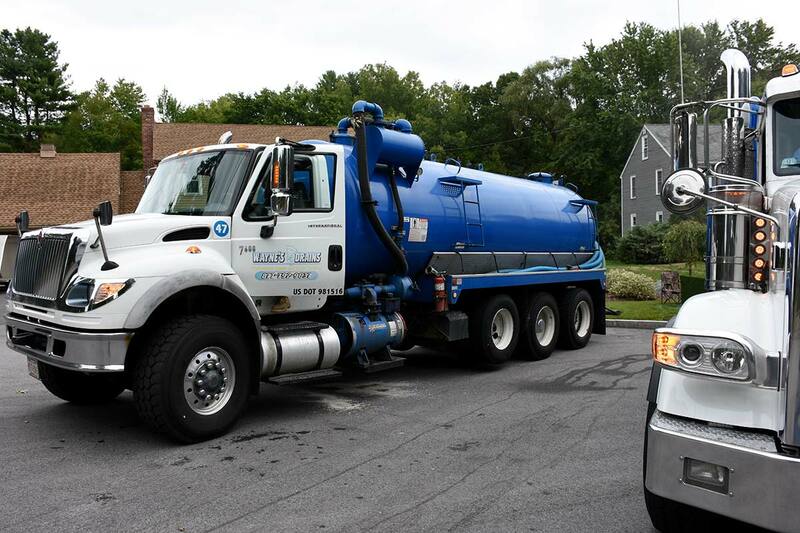 We provide immediate response time, any time night or day, residential septic tank services by licensed and insured professionals using state of the art equipment. Since 2000, Wayne’s Drains has been Greater Boston’s best choice for residential septic tank pumping. Our septic tank cleaning and maintenance services are of the highest quality and always competitively priced. Our services include a thorough septic tank pumping and cleaning. We’ve got experience on every type of residential septic tank, from pressure distribution to advanced treatment to standard gravity tanks – you can trust our experts to handle whatever comes our way. We can perform any residential septic tank pumping necessary to complete the job. Contact us today, and see the difference Wayne’s Drains can make for you.